I saw the most amazing photo of a life-like sculpture yesterday. Sam Jinks sculpture. 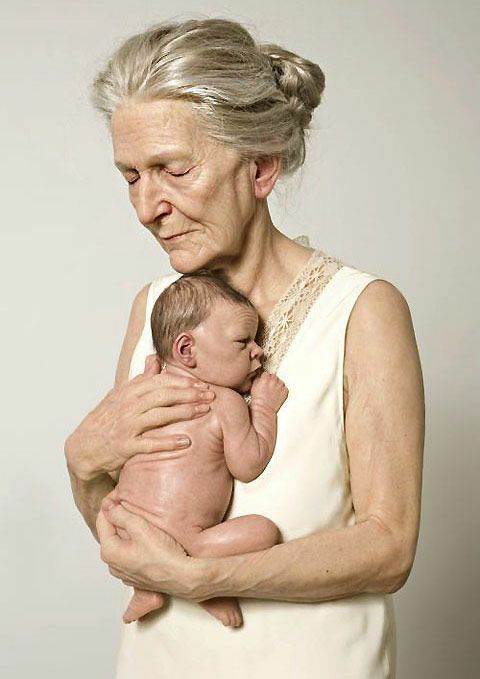 Not a painting…not a photo… But an incredibly life-like sculpture. Isn’t this an amazing photo? It makes me think about the cycle of life. We come into it as a tiny baby, live a ton of experiences, strive for eternal youth, but it’s no use. Sooner or later we all reach the winter of our lives and all of us have the same mortal destiny. We come into this world a little baby naked and we leave it naked. 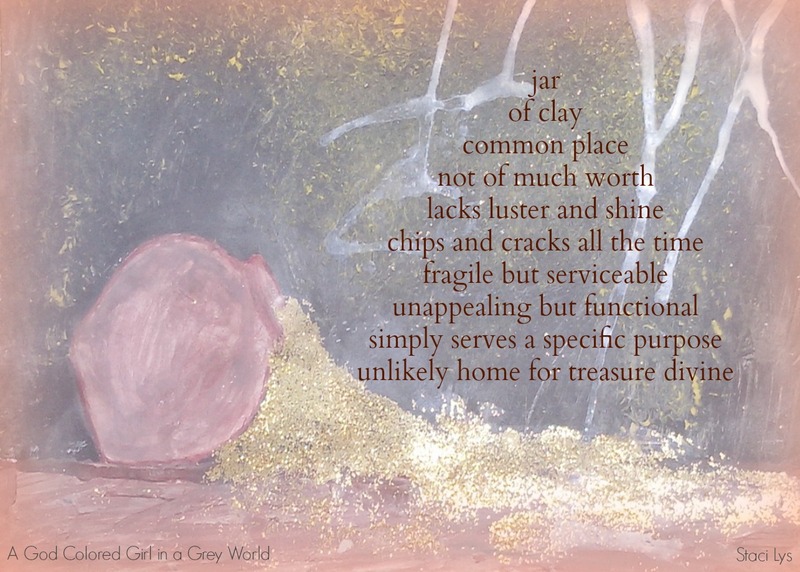 I believe that the body is just like this jar of clay. It simply houses me. This jar is functional and serves a purpose. Along the way, in it’s fragility, it chips and cracks as it experiences the bumps of life. The beautiful thing though, is that God has made a way for me to shine. Within me, he has placed His very self, which is an eternal treasure that doesn’t waste away and decay. A treasure that daily fulfills and transforms me into something that meshes with this treasure. When this jar has served its purpose ,and who I am is released from it’s hold – ahhhhhhhhh – now that’s freedom. Do you ever consider the cycle of life and how brief and fragile it really is? I have just returned from an amazing mini-vacation in Porto Seguro, Bahia, Brazil. It was an amazing four days. I will post some photos soon. I will be packing up the rest of our stuff and moving south this week. Busy times. It may take me a while to respond to any comments. Why do you cry so? While you were growing up? How did they hurt you? How did they make you sad? This song was inspired by a girl I met in Salvador, Bahia, Brazil. As the title suggests, her name is Erika. My husband and I were leading an arts team and one night, while doing some street performing in a slum area of the city I met her. I believe that God values each person as an individual, so I had made it a habit to pray and ask God who he would have me approach and what he would have me share with that person. I saw Erika watching in the distance and what came to my mind was a passage from the Bible, “Come to me all you who are weary and heavey laden and I will give you rest. Take my burden upon you for my yoke is easy and my burden is light.” I decided to take a step of faith and share that with her, and as I did, she started crying. This was during the beginning of our month-long stay in that place. Erika and I developed a really special relationship. So much so that she started calling me mom. She would come and visit us all the time and I would share God’s heart with her and she would cry, and cry, and cry. She is such a beautiful girl, and so precious. She is a jewel, as all people are in the sight of God. I don’t know what had caused her so much hurt and pain. I just know that her maker loved her, and wanted to make her whole. 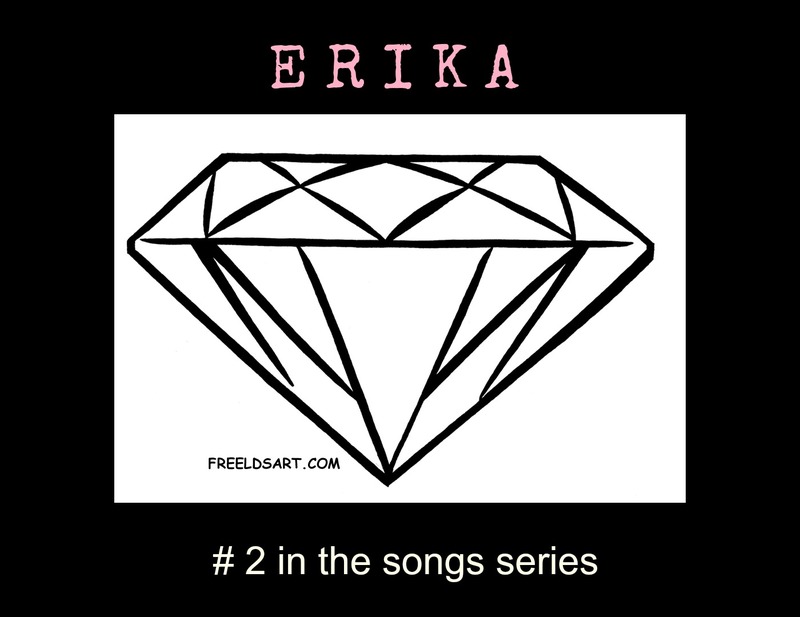 And so was birthed this song, ‘Erika’. Have you ever felt like you were no good? Have you ever been belittled by someone? If so, how has it affected you as a person? How did it make you feel? Did you see yourself differently? Did you think of yourself any less than you had thought before? Did it affect your self-esteem. I know that it did for me. Penny for your thoughts hmmmmm…..